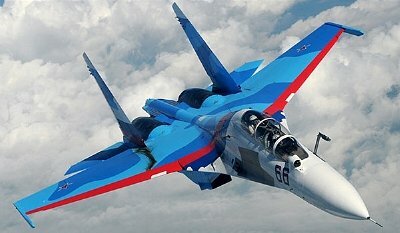 Russia and Iran have reportedly started talks on a deal involving the Su-30 fighter. The Sukhoi Su-30 is a twin-engine, two-seat, multi-role fighter for all-weather, air-to-air and air-to-surface deep strike missions. Conducted on the sidelines of the MAKS Air show near Moscow, the talks come as the two countries finalise delivery details for the S-300 air defence system. Although the discussions are still only exploratory, the acquisition of the Su-30 would mark a significant upgrade in Iran’s air power. While still serviceable, most of Iran’s front line interceptors are decades old and no match for the West’s more advanced air-superiority fighters. Russia’s Su-30 would alter that and put the Iranian Air Force on an equal footing with its potential adversaries in the West. It remains to be seen whether Iran will purchase the highly manoeuvrable fighter but one area of defence that Iran is woefully deficient is in its lack of cutting edge air superiority fighters. At present the best the Iranian Air Force has is the Russian Mig 29 Fulcrum, purchased 25-years-ago, and Grumman F-14 Tomcats, originally acquired during the reign of the Shah and before the Islamic Revolution. Although Iran has upgraded its F-14 Tomcats with new avionics and locally developed missiles, they would still struggle against British Typhoons or American F-22s. The last U.S. F-14 Tomcats in service were retired from the USAF nearly a decade ago. The recent agreement with Iran over its nuclear program has opened the way for fresh arms deals with the Islamic Republic. Although Washington wouldn’t approve of arms deals with Iran it’s something that Russia would welcome. First it would bring in much needed foreign revenue to counter Western imposed trade embargoes on Russia. Secondly, and perhaps more importantly, a well armed Iran would be a useful and willing ally in Russia’s ongoing face-off with the West.